The carpet cleaning cost is likely to vary from place to place. It would be different in one region and a lot different in another. However, with the help of internet and information technology, it is possible to get information on carpet cleaning cost within a short span of time. Brilliance Cleaning suggests that It would be wise to get an idea about the carpet cleaning cost by doing a thorough search on the internet. There are different estimations, which one can find. For example, a simple search shows that carpet cleaning is possible by the hour with cost anywhere between $25-$65 per hour. However, it would be wise to get information on whether the cleaner would bring the relevant material or the homeowner has to provide it. The cost would depend on the size of the house as well. When searching for the companies online it is important to find the right service provider. There are many companies who would be providing the carpet cleaning services; however, it would be wise to do a thorough search on the internet. Read reviews and comments online and find information on the companies, which have the best rating since it would be by the past customers. The comments are usually left by past customers who have already tried the services and thus, it would give an idea on the performance of the service provider or the company. In this case, it would be a good idea to find the right company for carpet cleaning and compare the costs in order to get the best available price. Estimating cost is possible by following information on the official website. It is important to find the right services by reading reviews and comments and then find information on official websites of these companies. Carpets are an integral part of the household. Other than adding the beauty and increasing the warmth in the house, they make life much more comfortable and generally healthy in the home. Unfortunately, with children and pets in the house, like any other wear, the carpets develop stains and accumulate dust, stains, and soil over time. The soft fibers will develop a foul smell and turn the heaven in your home into a scare to your peace and comfort. You need a better method that will get deep into the fibers and extract all the dirt and urine that pets and children deposit. The reasons why most manufacturing companies and industrial cleaners keep touting of the use of steam carpet cleaning, are practical and directly protects your health, the carpet and the aesthetic value of your home. This is the only method that is deep and gets an extraction of all the dust, dirt and urine of the pets from the carpet. That makes your house smell sweet, fresh and comfortable. It is the healthiest especially for people suffering from allergies and other sensitivities to toxic substances. No chemical is used in cleaning; furthermore, removal of all dirt is healthy for the dust reaction. Longevity of your carpet’s lifespan. Regular cleaning of the fiber in deep penetration as the steam engine, allows the carpet‘s fibers to remain intact at all times. The world today is running for eco-friendly means to solve problems, and this is one of them. No chemicals particles emitted into the environment. For complete removal of the stains, this is the surest way to go. The hot water goes deep and brings out all the solution of stains. It’s generally a fiber-friendly method since there is no scrubbing and using hard objects to remove the dust and stains from your carpet. In the long run, steam cleaning is cost-effective based on the above reasons. You will not buy a new carpet anytime soon. -If the urine is wet, put layers of paper towel over it in order to soak as much as possible. Later, put newspaper over the paper towel. Try to absorb the urine in the paper towel and newspaper. Repeat the process several times. Place cold water on the affected area with little detergent or soap and clean again. Keep on repeating until the area gets almost dry. -If the pet urine stain is dry, wet the area with water to get rid of the stain. A wet vac would be a good idea to get rid of the stain as it would get rid of the dirty water from the carpet. One can use the pet odor neutralizer as well. Make sure it has positive reviews in the market and it is very important to make sure that it does not stain the carpet permanently. -One can also use carpet stain remover to get rid of the tough stains; however, it should have good reviews in the market. -Use the products for getting rid of pet urine smell and stains from carpet but make sure these are eco-friendly and have good reviews in the market. Since there are kids and pets in the house, it is wise to use the best products out there in the market. Apart from all that It would be wise to get the services from the experts and professionals if getting rid of the urine smell and stains is extremely difficult for a person. Equipment plays a vital role in differentiating the processes. Steam cleaning through the traditional way would require putting heaps of soap mixed with water on the carpet and then pumping it out with the steam cleaner. A high degree of pressure would be applied. This phenomenon can be quite tough on the carpet and in some cases; it would mean that the stains and dirt might go deeper into the carpet. Some of the cleaning chemicals are such that they can be quite harmful to the pets and kids. Most of the houses have pets and kids and it is important to use the products, which are eco-friendly and free from harmful substances. In this process, 80% less water is used; however, carpet cleaning would be efficient and effective. 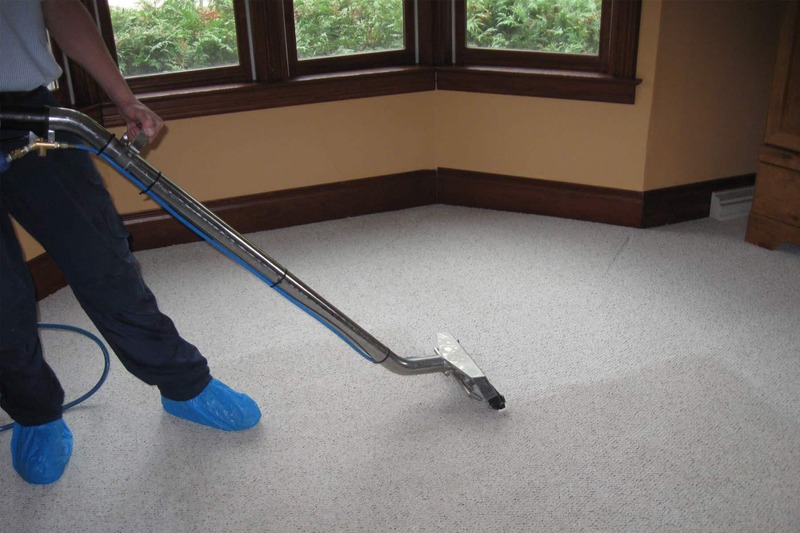 This process would emphasize extraction and it would pull out the soil and moisture from the carpet. There would not be the use of harmful chemicals like traditional steam cleaners. Using this particular process means that there are chances of not damaging the carpet, which is important because nobody would want to invest their hard-earned income in repurchasing the carpets repeatedly. It is wise to do a thorough research on the difference between steam cleaning and hot carbonating extraction. With the advancement in the field of information technology, it is now possible to find tons of information. There is lots of information, which is easily available online with a simple click on the internet. It would be wise to watch the tutorials if there are available and read on the difference between the two methods and the benefits associated. Water damage to carpets in your home or office is not uncommon. Any homeowner would have experienced water damage to carpets at least once in the lifetime. For such unfortunate situations, here is a quick guide on how you can best restore your carpets after a water damage has occurred so you don’t incur huge damages and have to spend loads of money in putting new carpets. This is the first step in restoring carpets and cleaning them after a water damage has occurred. If the damage has occurred because of clean water such as rainwater, the process can be easy depending on what type of carpet you have and how much area has been affected. However, if the water damage has happened because of contaminated water such as sewerage, the bad news is that you’ve lost your carpets forever. The next step is to understand if you can control the water leakage so no further damage happens and you can stop the damage from worsening. This is where your home insurance kicks in. if you have such cover, it is worth checking with your insurance company whether they cover this damage, so you can get new carpets instead of trying to fix the existing ones. Checking with your insurance company is important because replacing carpets in your whole house can end up being an expensive affair. If you think you can restore the existing carpets and have found some cleaners that can help clean them thoroughly, it is worth starting this by doing a patch test on one area of the carpet. This way you are sure that your fix will work and that it will not further damage your carpet by leaving stain marks. 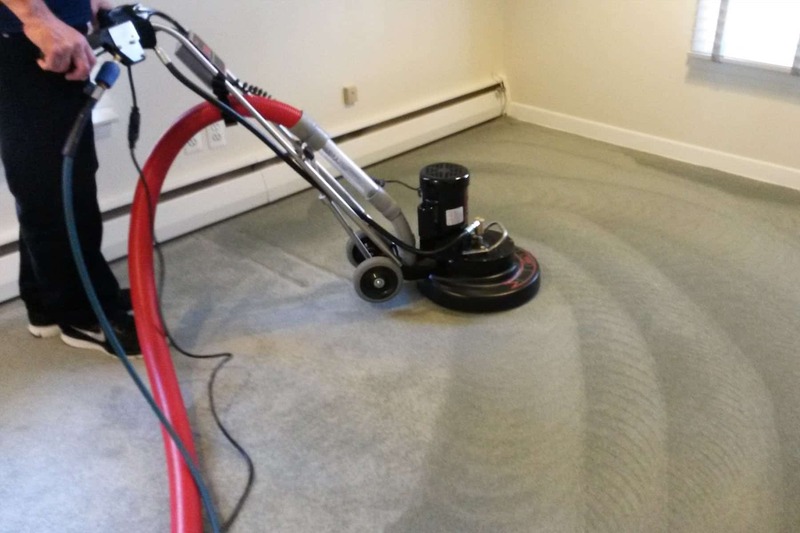 There are many other steps that you can take to restore your carpets after a water damage, but the ones listed above are the prerequisites, so you know that your efforts will bring in the right results. Some people think that renting a cleaning machine will do the trick when it comes to carpet cleaning. This is not true because you may end up damaging your carpet or partially cleaning the carpet. One of the reasons why most people prefer renting a machine instead of hiring a professional is to save money. However, with limited skills and knowledge, you might end up spending more than you anticipated. This is not true because there are different types of carpets which require different cleaning methods. There are dry and wet cleaning methods and your choice may be determined by the carpet flooring you have, your budget, the degree of soiling and weather conditions. Some of the methods are more effective and hence they are recommended. With the help of an expert, you can determine the right method to use when cleaning your carpet. Carpet deodorant is a powder that’s sprinkled on the carpet to keep it fresh and looking good. Therefore, this is a temporary solution and should not be regarded as a permanent solution to cleaning your carpet. Instead, you should have your carpet flooring cleaned by a professional at least twice a year. Some people think that cleaning their carpet flooring every now and then is expensive. As a result, they wait for a long period of time before doing it thus damaging thus carpet flooring. When you clean the carpet regularly, it retains its original colour, removes dirt and germs and lasts for a long period of time. This means that you will save a lot of money in the long run because you won’t have to replace your carpet often. In addition, there are reputable carpet cleaning companies that offer affordable prices to clean your carpet. Although cleaning chemicals might bleach your carpet, they do not cause any damages. In fact, when you clean your carpet regularly, it lasts longer unlike when it remains dirty! However, you have to use the right chemicals, cleaning method and procedure. DIY might cause problems because you may use the wrong cleaning technique. As a result, hiring an expert is recommended to do it right. In the last half of the century, wall-to-wall carpeting has been the overwhelming choice as a floor covering in homes. Carpets provide warmth, elegance, and beauty that cannot be surpassed. Having a red wine spill on your carpet while you are entertaining can be your worst fear because it leaves an ugly red stain but in many cases, it’s not as bad as it seems. If you have a few common household products there is an easy solution. What you don’t want to do is saturate the Red Wine stain with different cleaning compounds because some compounds will set the stain permanently into the carpet. For the same reason don’t apply heat to the stain. According to Brilliance Cleaning When trying to get a Red Wine stain out you should blot with a clean white cloth or paper towels. Blot from the outside edges towards the center of the stain. Do not scrub or rub the stain vigorously because it is possible to damage or change the texture of the fabric permanently. Also, you could make the stain go deeper into the carpet or upholstery and even if it appears to have been removed by this process it is possible it will reappear later. Removing a Red Wine stain as soon as you see it is very important. The longer it is on the carpet the harder it is to remove. Make a solution of hydrogen peroxide and dish detergent into a spray bottle. Spray it on the stain and let it sit as a pre-soak. Neither of these ingredients works by itself (you must use both). You’ll actually see the Red Wine disappear as it sprays on the stain. Blot this area. Repeat step one with the neutral detergent to remove any stain that might still appear to be in the carpet or upholstery. Dry all that moisture by utilizing a spray bottle and eliminate any excess moisture or use a wet/dry vac to remove as much of the moisture as possible. When the stain still is not getting away by blotting then use water and pour salt on the damp area. Salt will absorb any residue left in the carpet and then you just vacuum up the salt the next day. In most cases, this will get your carpet looking new again and ready for your next party. Residential carpet cleaning is a job that is growing popular these days. The business has certainly employed a number of young people and is certainly profitable. This is a service-oriented business and requires proper training and experience on work. Call the client before leaving the area where you are located in order to confirm timings or if the client has canceled. Carry all the necessary stuff and go to the client’s residence and arrive on time. Always knock before you enter and you can also say whom it is and the purpose. Greet the client and show your identity for verification purpose. Ask the client on the areas to be cleaned. The first thing you should always do before cleaning is to move any furniture or fittings on carpets to have a thorough clean. Vacuum all the edges and the entryways. So as when you start cleaning the carpet you won’t have the dirt coming to the carpet again. Now take your carpet cleaner which is equipped with the detergents that you require and perform an excavation wash on the carpets. Treat the carpet after this with the right treatment as you certainly do not want to mess with your client’s carpet. Lastly, groom, dry the carpet then return the furniture and fittings carefully as you found them. Always make sure you go through in order to make sure that you did not leave an area unattended as the client has paid for the service. If the client is at home always make sure you ask them to confirm if they are satisfied, appreciate the job offered and ask them to give you a next time call. Proper clean uniform or artier as you are on the line of work. Always have a name tag or carry a badge that is clearly readable and has your name, not a borrowed one or a nickname. If need be to carry a pair of gloves. There are many benefits to getting your carpets professionally cleaned. Carpet cleaning is tedious, and using professional carpet cleaners will save you time and money. Carpets are notorious for holding stains, and if the stain is not removed immediately, it is even harder to remove. Here are a few of the benefits of professional carpet cleaning. Instead of slaving over your carpet for hours, save time by hiring carpet cleaners. They will have special tools and products to clean your carpet more easily. While it may seem like the more expensive option, you can rest easy knowing that you won’t further damage your carpet with improper cleaning methods. Carpets can hold dust more than hardwood or tile flooring. This means that the carpet can be very dirty, even if it looks clean. 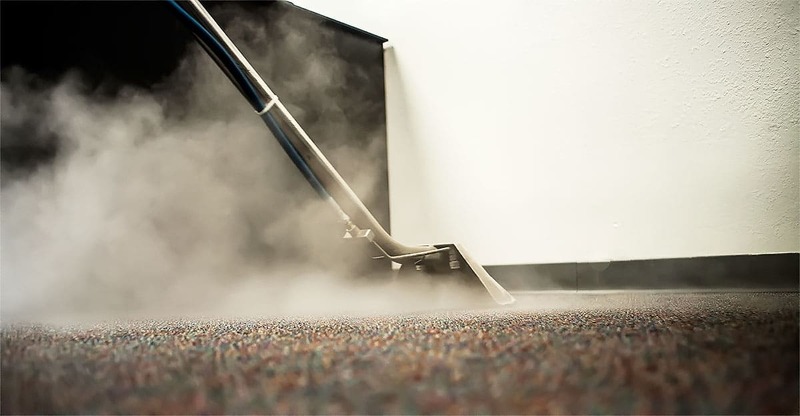 This excess dust and dirt can lead to allergy attacks and similar symptoms. Clean carpets make for a clean home. Carpet cleaners can do a deeper clean to the carpet than those of us without special tools. Just as clean towels feel better than dirty towels, so do clean carpets. Unlike towels, carpets cannot be thrown in the washer. Vacuuming can help between carpet cleanings, but in that sense, carpet cleaners are like dentists. Vacuums are best at removing dirt from the surface of carpets. Carpet cleaners can get to the root of the problem. When you return home from work or errands, your shoes and feet will be dirty. You can track this dirt onto your carpet without even knowing it. Your shoes and feet can be covered in bacteria and other substances that have no place in your home. While you can easily dust or mop other floors, carpets are the perfect host foursome unruly bacteria. Protect yourself and your home. Choose professional carpet cleaning.